We increasingly receive dream pop offerings at WYMA, and most of them are very good. Still, as we have limited time to devote to this hobby, we are selective (and sometimes arbitrary) in our choices. However, we have no hesitation and make no apologies about bringing you The Dream. The aptly named album by Lying In Ice, the duo consisting of Jesse Maddox and Angela Cross, have created a deeply textured and richly detailed tapestry of dreamy pop. 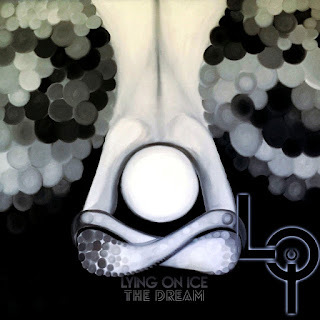 Warm and inventive, it is the perfect album to take a chill off of your winter days. The Dream is out now in digital and CD formats; see the Bandcamp link below. 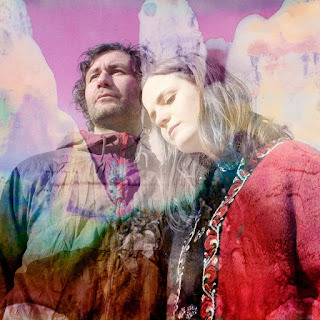 Linn Frøkedal and Richard Myklebust are Misty Coast, a dream pop/shoegaze band from Bergen, Norway. 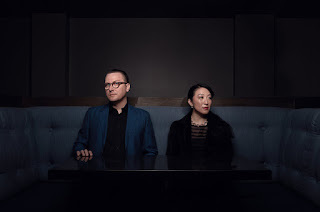 Their 2017 debut album earned a Norwegian Grammy nomination, and they are set to release their second LP, Melodaze, later this month. You can take it for a test drive with "Backseat Warriors", their third single from the new record. Featuring robust, but hazy, instrumentation, a pop-oriented melody and Frøkedal’s superb vocals, the song just makes our day better. "Backseat Warriors" is out now via Norwegian label Brilliance/Moorworks, which also will release the new album. 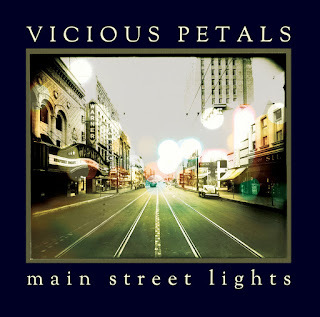 We recently were invited to attend a show in Seattle featuring Vicious Petals, but prior conflicts prevailed. However, after checking out the band's 2016 album, Main Street Lights, our regret became profound indeed. The band has a completely wired soulful rock sound with great vocals, horns, passion and swagger. 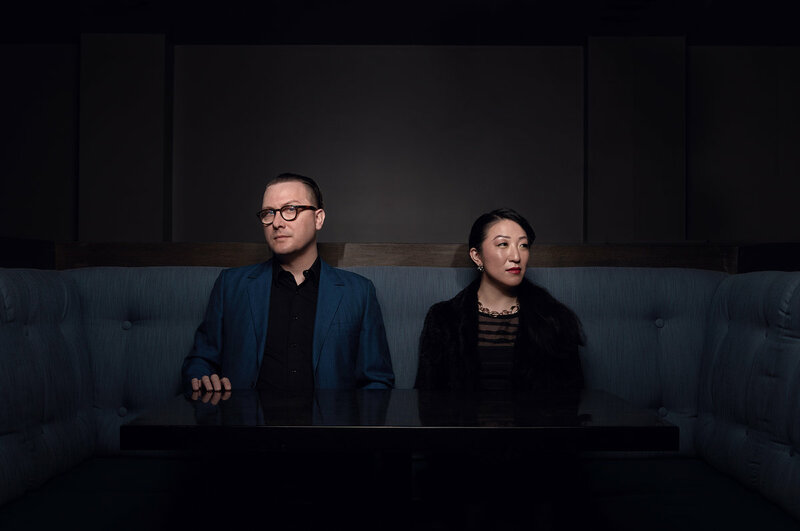 The main focal points are songwriters Ayako Okano and Cooper Smith, but the ensemble numbers 8, and they hit like a freight train. Glasgow's Acrylic was formed in 2014, and has been gathering enthusiastic review for their live shows and critical acclaim for their spring 2018 EP All I Am. 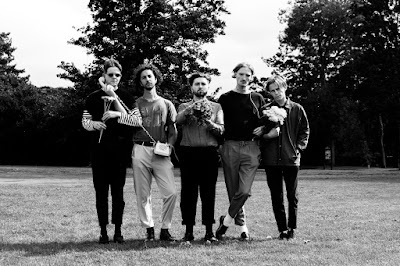 This week the band started a new chapter with the taut but jangling "I've Got Too Many Friends". A cautionary tale of souring relationships in a fine, rocking package, it shows the kind of talent that should keep this five-piece on your short list. Acrylic are Andreas Christodoulidis, Ross Patrizio, Jack Lyall, Lewis Doig, and Ruairidh Smith. "I've Got Too Many Friends" is out this week as a digital download. We have enthusiastically followed Finnish band Black Lizard for a number of years, so we were thrilled to check out Pink Chameleons, which not only follow the same naming format (color + reptile), and the same country of origin, but boasts BL's Paltsa-Kai Salama on vocals and guitar. The trio is completed by Antti Sauli on bass and Iiro Tulkki on drums and keys. And Iiro also supplied the stop action animation for the video for their introductory single, "Religion. Suffice it to say that the single is a good reason for you to check out Pink Chameleons as well. "Religion" is out January 1 via Soliti Music. We know Corey Cunningham via his other projects, Smokescreens (link to coverage of 2018 debut), Terry Malts and Magic Bullets. But we now have another CC project. This one, Business of Dreams, has is origins in the emotional catharsis and reflection after the death of Corey's father. But the resulting music also is varied guitar pop of the highest quality. The new album Ripe for Anarchy will be available February 1 via Slumberland Records (see Bandcamp link below to pre-order), but you can test drive album closer "Keep The Blues Away" below. The band is touring beginning Wednesday, January 16. Dates and locations are at the bottom of this post. We'd be happy to tell you more about Dreams of Empire, but we know very little. It is a two-person project from Brighton, UK. One creates an enthralling crash of guitar, while the other provides dreamy, reverbed vocals. And it is wonderful. No website or Facebook that we could find -- just a Twitter account and "Drive On" on Soundcloud that you should be able to find at your preferred digital retailer.